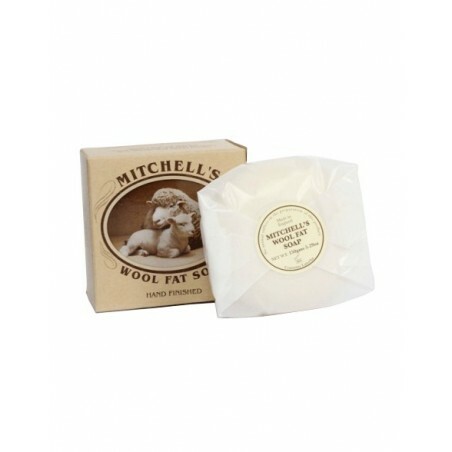 Mitchell's Wool Fat Bath Soap 150g is made from a century old recipe. 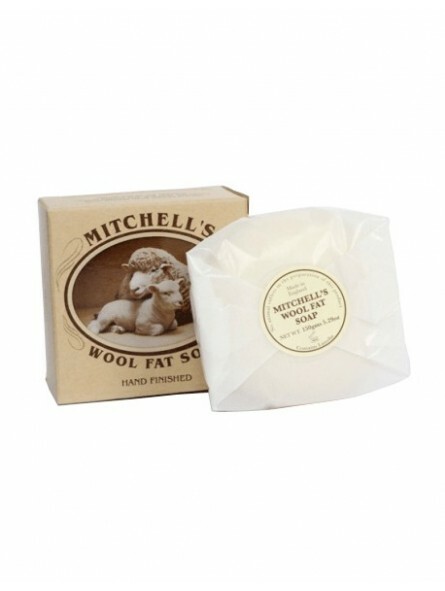 It is both very pure and rich in natural lanolin derived from the wool fat in the sheep fleece. With regular use, its effect on the skin is to smooth and soften. People with sensitive or dry skin find it particularly soothing. It is, in fact, often recommended by members of the British medical profession to help alleviate skin complaints. Mild in use. Suitable for all the family. Printed on recyclable paper Gift Box.